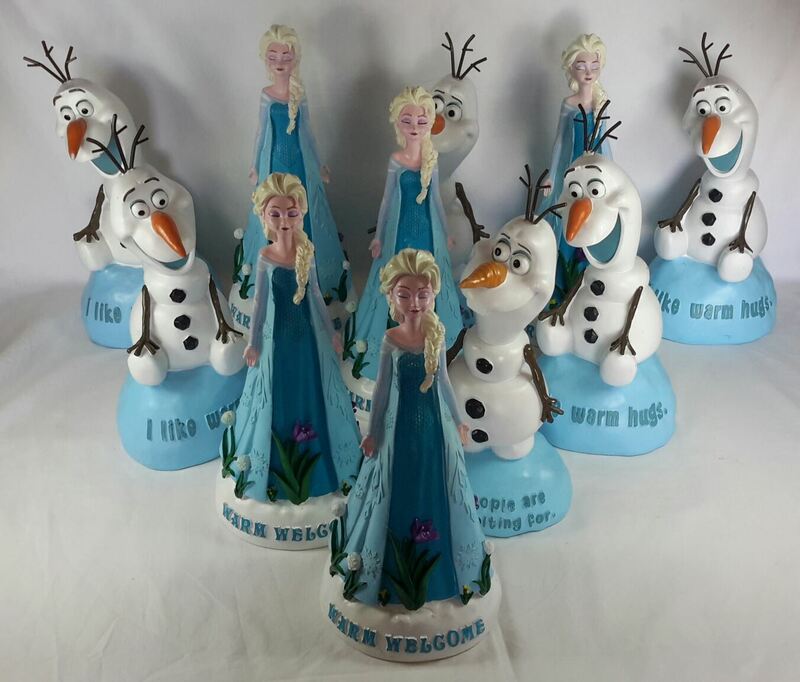 This is a wholesale lot of 11 Disney Frozen Statues. This lot contains a mixture of types, see pictures for examples of what you'll receive. These items are new. Click the button below to add the Wholesale Lot of 11 Disney Frozen Elsa Olaf 14" Indoor Outdoor Statues to your wish list.